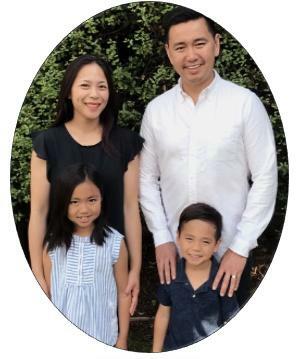 The AMI QT Devotionals from April 1-7 are provided by Pastor Ulysses Wong who pastors the Renewal Church in Sunnyvale, California. He is a graduate of New York University (BS) and Westminster Theological Seminary (M.Div.). Pastor Ulysses and his wife Christine are proud parents of Audrey and Noah. It’s hard to take these Israelites seriously. 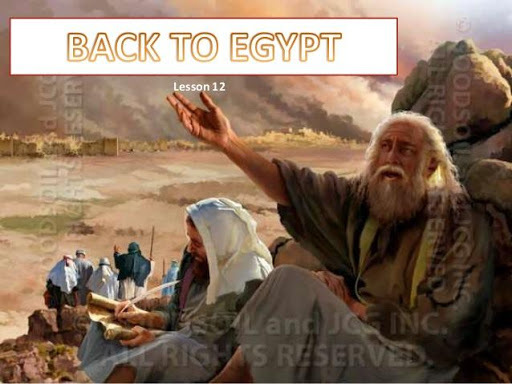 God just delivered them from slavery in Egypt – a situation so bad that they found themselves literally “groaning” to God for deliverance. Now here they are, freshly freed – and wanting to go back to Egypt. What gives? All it took was a little bit of desert sand for them to desert their Savior. Yet it is here that we find the human condition, and ourselves consequently – when the going gets tough, the tough go back to Egypt. There’s nothing like hardship to make one forget all of God’s past goodness. The real danger in the desert wasn’t heat stroke – it was spiritual amnesia. 1 Corinthians 10:4-5: And all drank the same spiritual drink. For they drank from the spiritual Rock that followed them, and the Rock was Christ. 5 Nevertheless, with most of them God was not pleased, for they were overthrown in the wilderness. Somehow, the Rock that Moses struck was more than just a rock – it was Christ. And just as the struck Rock poured out life-giving water to a rebellious rabble, so a Christ struck upon the cross poured out His life-giving Spirit to us. So what’s the point? The point is that next time you find yourself in the desert, either wanting to complain or wanting to go back to Egypt, remember that Christ is with you, and that His Spirit can provide for you, no matter the situation. Jesus didn’t complain in the desert and He was struck for our sins so that we can be confident of His Presence in our lives always. Prayer: Jesus, You were there all along, though the Israelites saw You not. Open my eyes to see You in the midst of my situation. Grant me the faith to know Your Presence, even in the midst of a dry and weary land where there is no water. Nourish me with living water. Satisfy my soul and help me to trust in You. Amen. Read Hebrews 4:14-16: Therefore, since we have a great high priest who has ascended into heaven, Jesus the Son of God, let us hold firmly to the faith we profess. For we do not have a high priest who is unable to empathize with our weaknesses, but we have one who has been tempted in every way, just as we are—yet he did not sin. Let us then approach God’s throne of grace with confidence, so that we may receive mercy and find grace to help us in our time of need. If Jesus never sinned, can He truly empathize? Why is it important that “he did not sin”? Where do you turn in your “time of need”? What does this say about where you place your trust? How does Jesus’ ability to “empathize with our weaknesses” encourage you? Jesus can certainly empathize with us without having sinned because: first, Jesus, as the Second Person in the Trinity, is omnipotent; second, sinning is not an integral part of what it means to be a human. Thus, the fact that Jesus was fully human (without sin) was enough for him to empathize with us. Had Jesus sinned, his death could have atoned for his own sin but for not ours. But, because Jesus—the perfect lamb of God—didn’t sin, his substitutionary sacrifice on the cross was able to atone for the sins of the world (1 Jn. 2:2). How did you do today when faced with adversity? Did you complain? Were you anxious or fearful? Or were you at peace, trusting in God’s presence? Take some time to take inventory of the emotions you felt today.